The Hotel Spa Hévíz is a disability-friendly hotel, but what does this actually mean? Our hotel takes special care to ensure that its rooms and communal spaces are designed to meet the needs of guests with disabilities who visit Hévíz to improve their health. The main entrance is approachable via a gently sloping ramp with a tarmac surface. The community area and rooms in the building have no raised thresholds. 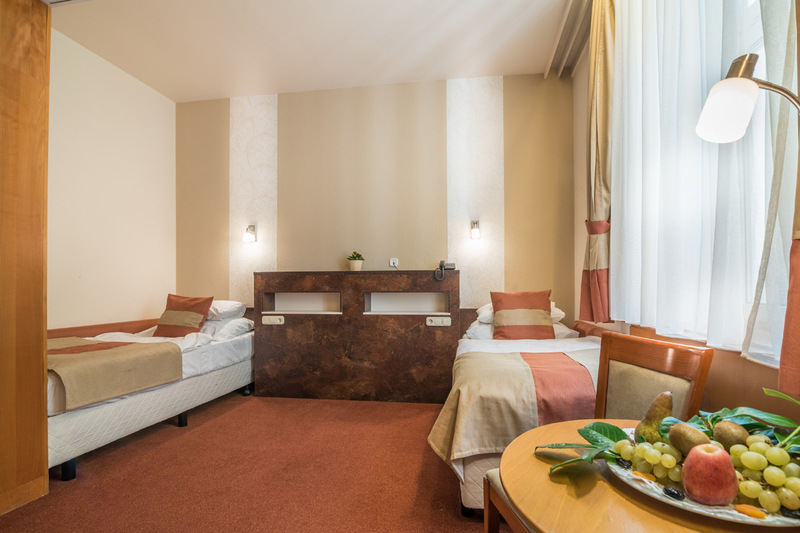 In the Classic wing, two single rooms and two double rooms – unlike the other rooms – are fitted with grab rails. Access to the treatment rooms of our hotel’s own therapy centre is obstacle-free. The various treatments are ideal not only for treating existing maladies, but for prevention too. In our hotel’s pool complex, guests with physical disabilities also have access to the vitalising powers of the Hévíz water, using the special lift that is provided. Hévíz Thermal Lake, set in the genteel surroundings of the hotel’s grounds, is also fully accessible, offering the opportunity for outdoor bathing in an environment with low levels of dust and allergens. All guests at the Lake Spa’s “official” hotel receive an all-day entry pass, to ensure that all their needs are fulfilled during their stay here.